Kids in 1st through 5th grade will experience God in a way they will never forget through exciting series where kids dig into God’s Word and learn how to apply it to their everyday lives. It is our goal for every kid to realize that Jesus loves them and has an incredible plan for their lives. Classes are held every week during the second half of our 8:30a & 10:30a services. Children are dismissed during our offering to their class in the lower level of our Life Center building. If my child is attending Shiloh Kids for the first time how will they know where to go or what to do? At Shiloh Kids, we LOVE our first time visitors! You will find a Kid Check-In station with kiosks located at our Welcome Center in the main sanctuary. Our greeters will help you check in to receive security nametags for your child. You will have your own tag with a security code that matches your child’s tag. Just hang onto that tag and hand it to the classroom teacher when you pick up your child. At Shiloh, children join their parents for the main worship experience at the start of every service in the sanctuary. Children are dismissed to classrooms in the Life Center after the offering experience. Our Life Center is located in the parking lot next to our main building. We always have a police officer and security volunteers keeping our buildings and children safe and secure. My child is attending a service with a friend/family member who is in a different age group. Can they attend together in the same class? Because our curriculum is adapted in each class to best fit the age group being taught, we encourage kids to attend the service in their appropriate classroom. However, if a child is uncomfortable attending alone, they may attend service with a friend or family member; we just ask that both children attend the service of the youngest child’s age group. This allows both children to fully understand and engage in the lesson being taught. Are there any tools provided by Shiloh Kids to help parents connect with what their children are learning in church? Every Sunday, children receive an “Explorer Guide” that is a fun activity sheet that contains activities and information about the week’s Bible lesson. Families can discuss the Bible lesson on their way home from church. You will also find the Bible Verse of the week that kids practice all week long. When kids return to church with the verse memorized the are awarded tickets for the 'Shiloh Kids Store' that is open on the first Sunday of every month. What is a CONNECT Service? On the first Sunday of every month we provide a full kids worship service in the Life Center. This means upon arrival, parents may drop their kids off at class before heading over to the sanctuary. The Pre K (4 & 5 year old) class joins Elementary (Grades 1-5) for exciting worship, engaging hands-on activities, object lessons, and more! The 'Shiloh Kids Store' is open on this Sunday for kids to redeem tickets for prizes and toys. We love having parents involved with their children at Shiloh Kids and our team is always excited to welcome new volunteers who love pouring into the lives of children! All of our volunteers have had state and national background checks completed and have been trained in each classroom.  If you would like learn more about becoming a Shiloh Kids volunteer click here.